Managing Director, Chris Wellman, has certainly had a busy few days: discovering a delightful bottle of red, Norton Privada, 2009 (click here for the review) and sampling different Glenfarclas expressions at a whisky tasting evening. We say ‘busy’; we really mean extending his drinks knowledge. 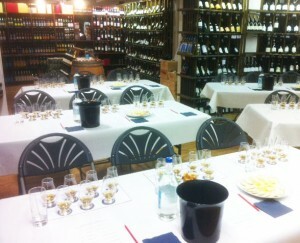 Hennings Wine Merchants hosted a ‘Glenfarclas Whisky Tasting’ on Thursday 7th February 2013 in their Pulborough shop. The evening was organised and introduced by the ever enthusiastic and knowledgeable Colin Nicholson, of Hennings Wine Merchants. All in all the whisky tasting was a success, offering good value for money and the opportunity to learn more about whisky, as well as the infamous whisky company Glenfarclas. The tasting evening was led by Peter Donnelly, Brand Manager for Glenfarclas. Glenfarclas has been in the hands of the same Grant family since an astonishing 1865. It is currently managed by the 5th generation through the chairman, John Grant and the 6th generation, George Grant, who is director of sales. Family is one of the key attributes of Glenfarclas and explains why it is such a well-respected name in many households. The company has grown from strength to strength and we wanted to find out why. So we had to have a taste of course! A big thanks to Hennings for providing such a superb venue for the evening, it was a truly magnificent event and the ‘special whisky pricing’ was definitely a temptation (one which we couldn’t resist). We hope to attend one of your events again soon! Feel free to browse Hennings’ selection of spirits here. We would also like to say a massive thanks to Peter Donnelly for being such an excellent host and creating such an informative, educational and enjoyable evening. His expert guidance allowed us to embark on a real (Scottish) adventure with classic scotch whiskies. Find UK whisky tasting events near you – please see our calendar. Alternatively if you are hosting a whisky event and would like it listed please contact us straight away. 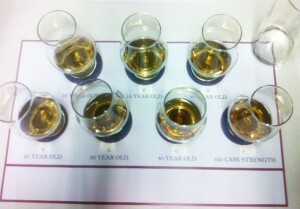 We really recommend attending a whisky tasting event, if you do, let us know how it went! Even better, invite us along and we will review it.